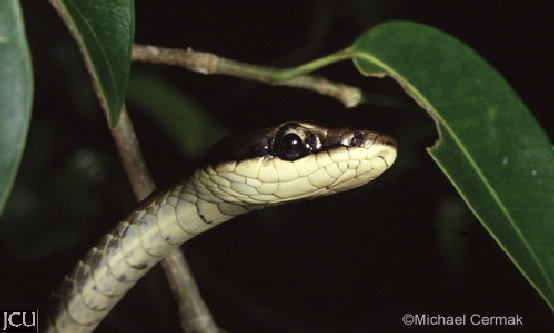 This slender agile snake with a whip like tail is usually found in dense vegetation, particularly in rainforest where it preys on frogs and birds as well as other small reptiles and mammals. The olive-green to brown body has darker bands and a dark streak extends from the snout back through the eye. The belly and some of the lateral scales are cream to yellow.